New York Hot Dog & Coffee (245 Bleecker St. between Carmine and Leroy) is a new cafe that brings a Korean twist to the world of wieners and more! 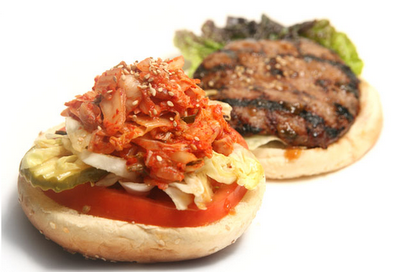 Today they will be giving away free Kimchi Burgers to the first 100 customers starting at 12:30PM. More info about the place can be found on their website.